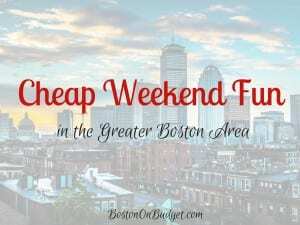 Cheap Weekend Fun in Boston for April 15-17, 2017! There’s a lot going on this weekend in Boston with Easter and Marathon Monday kicking off April Vacation Week! Hopefully you have at least Good Friday or Patriot’s Day off this weekend, if you don’t have next week off. 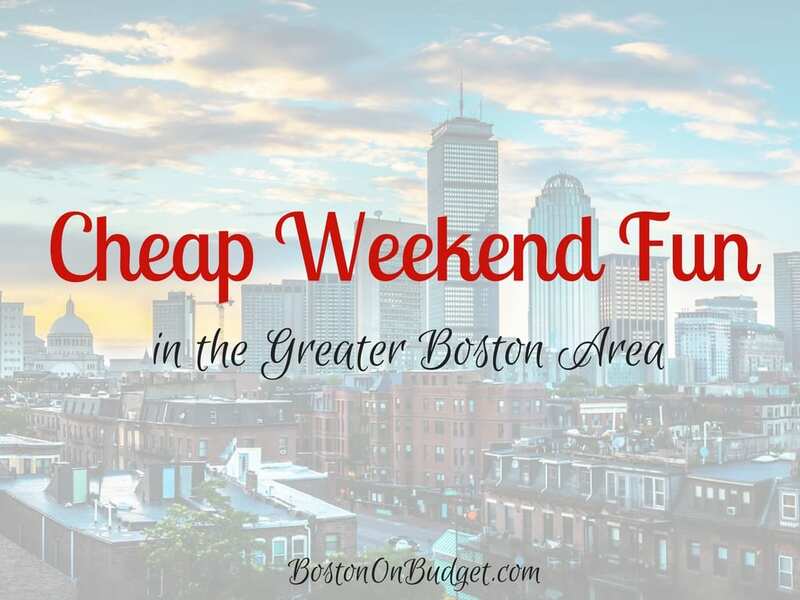 I included Monday into the Cheap Weekend Fun mix, but if you are looking for even more things to do, don’t forget to check out Top Budget-Friendly Things to Do This Spring in Boston or Budget-Friendly April Vacation Ideas in the Greater Boston Area! Patriot’s Day Celebrations in Lexington & Concord: April 15-17, 2017 in Lexington & Concord. Head to Lexington & Concord to commemorate the opening battle of the American Revolution with reenactments, parades, ceremonies, and more. Swan Boats Opening Day: Saturday, April 15, 2017 in the Public Garden. The Swan Boats are back for the season in the Public Garden. Rides are $3.50 for adults and $2 for ages 2-15. Cambridge Science Festival: April 14-23, 2017. Head to Cambridge for this fun 10-day festival with many fun and hands-on events for people of all ages! 23rd Egg Hunt in Roslindale: Saturday, April 15, 2017 at 11AM at Fallon Field in Roslindale. Enjoy this 23rd Annual Egg Hunt with over 6,000+, a visit from Mr. Bunny, and more! 7th Annual Easter Eggstravaganza: Saturday, April 15, 2017 from 10-12pm at Riverside Press Park in Cambridge. Head to Cambridge for this free Easter Egg Hunt with face painting, carnival games, egg hunt, and more! Bass Pro Shops Easter Fun: April 8-16, 2017 at participating Bass Pro Shops. Head to Foxboro for their FREE Easter Event with a free photo, crafts, and more! Free National Park Weekend: April 15-16, 2017. All National Parks are free this weekend to celebrate National Park Week! Keep in mind that meters will be free on Monday due to the holiday but there may be some parking restrictions in place as well due to the race.